Ten points all round! A gymnast is leaving the world in awe over a recent floor routine using a few famous songs from the King of Pop. 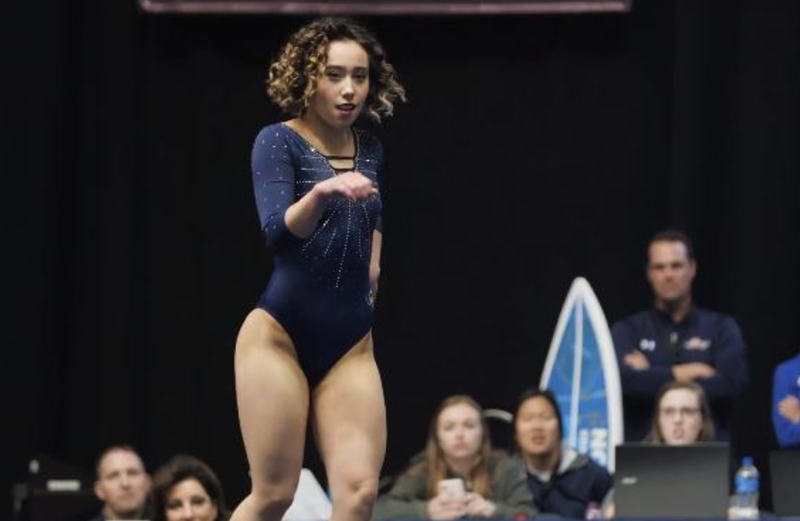 A University of California student gymnast, Katelyn Ohashi, has become an overnight sensation – not only in the gymnastics world, but on social media, too. Her exhilarating performance for which she received a 'perfect 10' by the judges has been shared by thousands and thousands of people all over the world, and in the process, she’s clocked up over 50-million views. READ: This gymnast's balance-beam save is super impressive! The routine shows her doing her thing to a medley of Michael Jackson songs, including hits such as 'I Want You Back' and 'The Way You Make Me Feel'. Her moves are flawless - especially the one where she does the splits. Ouch! Indian Express reports that the 21-year-old has faced the wrath of trolls who've taken the opportunity to body-shame her, saying that she looked like she "swallowed an elephant". Irrespective of what people have said about her, she continues to remain an inspiration to her online fans - including myself. She makes this look so easy.